So is having a rotating No. 1 good for golf? I go back and forth. Pro: It adds a layer of suspense in watching a tournament. 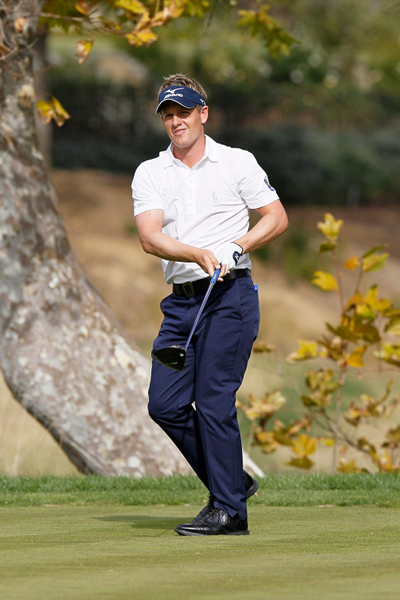 Last week’s Heritage was much more interesting because you knew if Luke Donald won, he would be No. 1 in the world. This might be Donald’s only shot at saying he is the best player on the planet. There was more at stake than just winning a plaid jacket. You also made a point of knowing what Lee Westwood was doing in Asia. Did he win? Again, it’s gives you another reason to care. Con: Why should we care? The rankings appear to be flawed. There would have been a huge outcry if Donald had become No. 1. If he had won, it only would have been his second victory on the PGA Tour since 2006. And none of them came in a major. The same goes for Westwood. He’s been mostly mediocre this year. Suddenly, he is No. 1 again after winning a low-level tournament? Does anyone truly believe Westwood is the best player in the world? The system needs to be addressed. A bigger premium has to be placed on actually winning tournaments. A bunch of top 10s are nice, but they shouldn’t be enough to get it done. Pro: After Tiger Woods’ long run at No. 1, it is nice to see some fresh faces in the top spot. It helps from a marketing standpoint, giving the players more appeal. Martin Kaymer’s profile has been raised considerably ever since he was No. 1. That’s good for the game. Con: Not having a definitive No. 1 isn’t good for the sport. Any sport thrives when there is a dominant team like the Yankees or Lakers. Golf never was more popular than with Woods firmly at No. 1. Woods is No. 6 now, and the game hasn’t been the same. Conclusion: I think having the parade has its pluses, but I would be more inclined to buy in if I thought the system determined a true No. 1.